Elegant, minimal and refined interiors, large windows giving brightness to the area, wide salon, comfortable sofas. 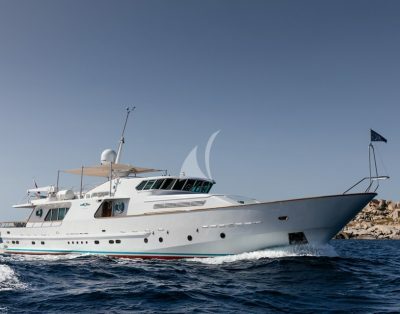 Eva Kant offers a table for up to 8 guests in salon and well equipped galley with fridge, oven, dishwasher, washing machine. The night area offers accommodation for up to 8 guests in 4 suites. The Double bedded Owner stateroom is forward and is provided with ensuite toilet and shower box. The 2 forward Double-bed cabins feature ensuite toilet/shower box each; both cabins can comfortably be converted in Twin cabins with 2 separate single beds each. Spacious sunbathing areas forward and astern with comfortable cushions for the maximum comfort and relax; wide cockpit with dining table for al fresco dining, comfortable bathing platform giving easy access to the sea. Luca is 38 years old and is from Naples. Since child, Luca has always shown a great interest for the sailing world, carrying on the tradition of his family, who is in the yachting industry since 1974. Luca was only a child when he started to sail on board an Optimist at the Sailing Club of Castellammare di Stabia. In 1995 Luca started to help his uncle in the ship transfers towards Southern Italy; he took care of more than 50 transfers. In 2002 he definitively understood that the yachting was his path and so decided to start his career in the field. His first job as Captain came on board BLUE, Fiart 50 Feet, then on board FLORA, Itama 46 (2005/2007), AZIMUT 55 (2008/2010), ITAMA 60 (2011/2012), CANADOS 72 G&G (2013). 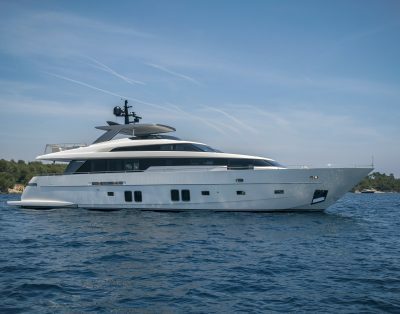 In 2016 Luca embarked on DIABOLIK, RIVA VERTIGO 63, where he spent two charter seasons. Luca holds the Nautical Licence; recently he has successfully passed his exams, obtaining the Yachtmaster. Luca is a sunny person, polite and respectful. He speaks English fluently. Francesco is 23 years old and is from Naples. Francesco graduated at the Technical Institute Nino Bixio in Piano di Sorrento (Naples). Despite his young age, Francesco has already gained experience in the yachting industry as deckhand. During the 2015 summer season he embarked on SABEA, M/Y for charter and in 2016 he embarked on DIABOLIK, together with Captain Luca; they are really a strong team of young, motivated and competent professionals. Francesco is an honest and good-willing guy who enjoys teamwork. He has excellent learning abilities and a strong capacity to adapt to different situations. He speaks English and French. 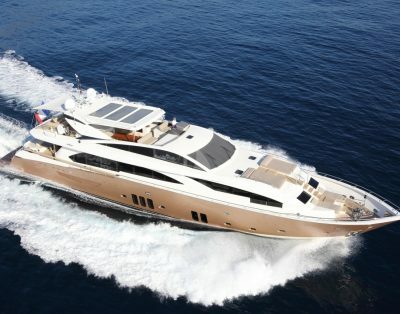 Weekly rates (8.80% VAT Applicable in Italy) WMT: July/August € 21.000; June/September € 18.000; other months € 15.000. 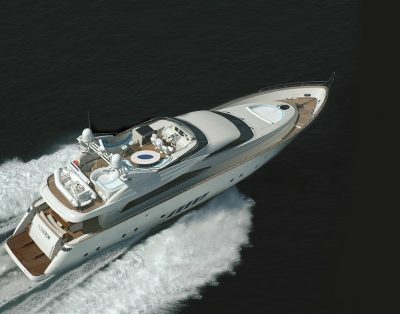 Rates include: hire, crew in the number indicated, yacht’s insurance, yacht’s laundry. 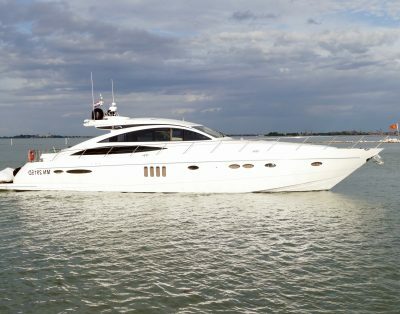 Rates do not include: food and beverages for guests, fuel for the yacht, for the watercraft and the dinghy, mooring fees, personal communications fees (internet, fax, if available onboard), personal laundry fees. 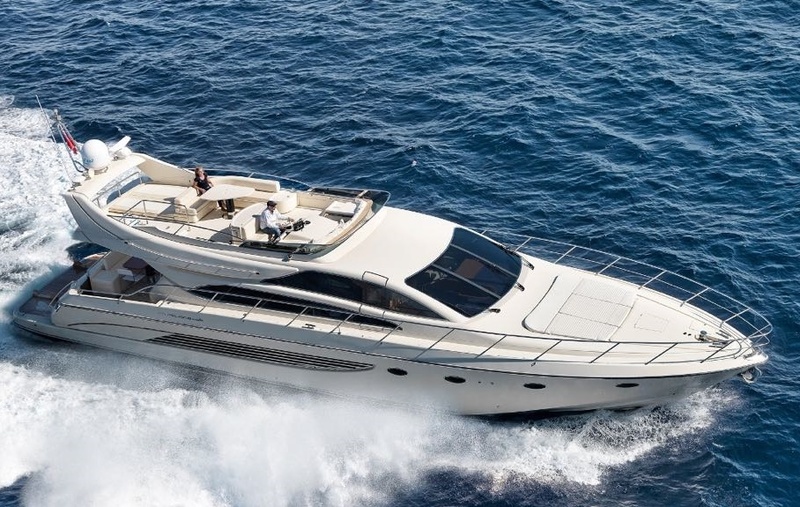 Fuel consumption 360 Lt/h at 25 knots cruising (duty free fuel in Italy only).